Yoga Mudras | do yoga! We often see the Buddha represented with this gesture. It is beautifully simple and brings you into deeper, more profound concentration. It is the traditional mudra to aid qualities of tranquillity and inner peace. I like to visualise the hands as a little basket. Sometimes there are flowers in the basket and sometimes there is a little fire burning. The space within the hands is empty and you can see that space as freedom and a way to empty the mind. You can do whatever works for you – it’s a soft embrace and the fingers could be holding a dove… allow your imagination to roam and find something that works for you. 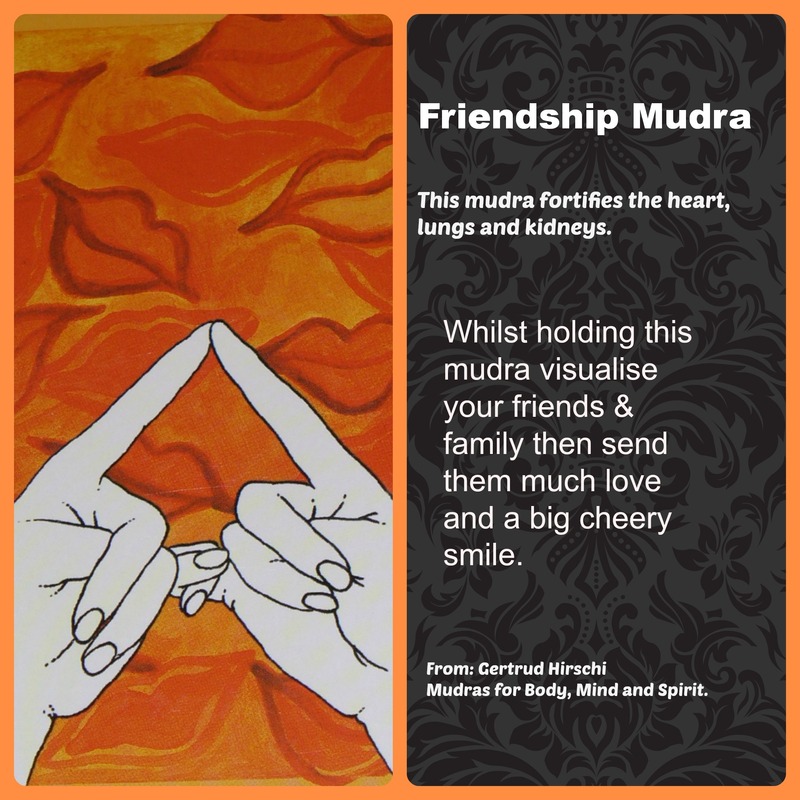 This mudra is from the card set by Gertrud Hirschi – a wonderful gift for a loved one (or even yourself). Mudras redirect the energy lines which flow around, through and outwards from our body. By placing the fingers (and sometimes other body parts) in different ways we send the energy to parts that we feel need it. With the friendship mudra the thumbs tips are connected over to the base of the little fingers, ring finger and middle finger are curled on top of the thumbs and the forefinger tips connect with the little fingers hooked together. This shaping redirects the energy lines to the heart, lungs and kidneys. And millions of stars shine upon you.